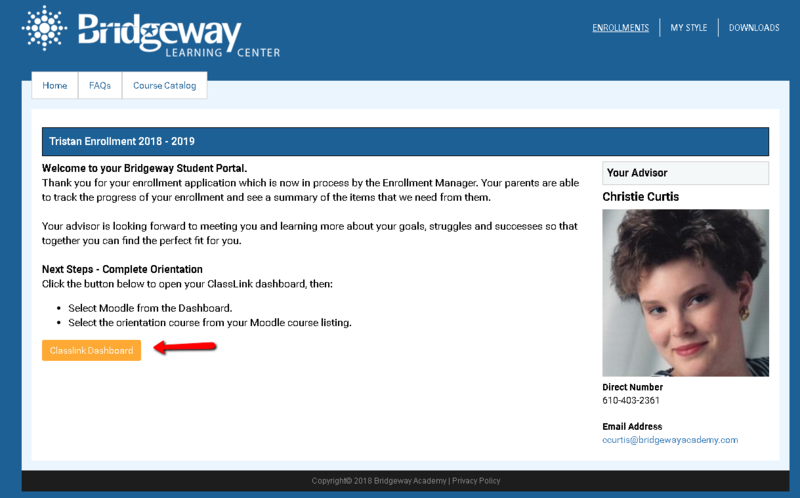 Important: Bridgeway uses ClassLink to authenticate Single-Sign On into our Learning Management System (Moodle). This means that you need to login to ClassLink first and select the Moodle icon to sign into Moodle. 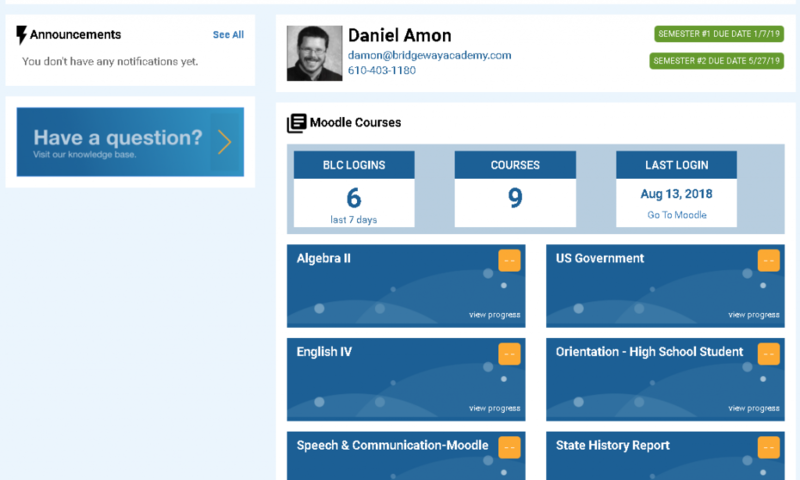 Once signed in, you can click on the course links from the BLC dashboard to go directly to your course in Moodle. Hint: You can also follow these three simple steps after logging into the BLC: 1. Click on ClassLink 2. Select the Moodle icon to login 3. Select the Orientation course from Moodle directly.